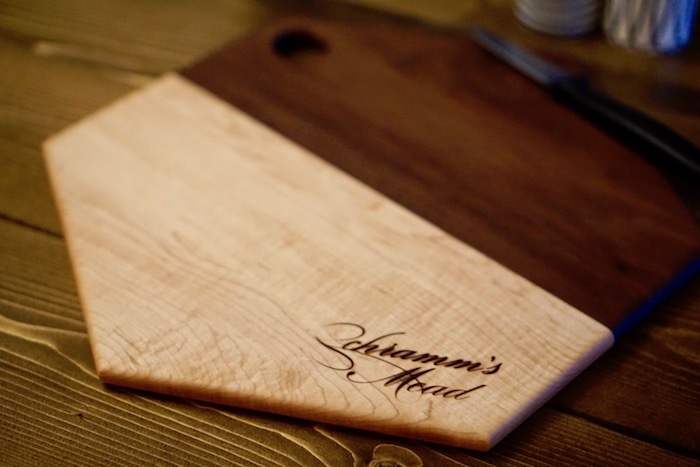 This signature Schramm's Mead serving board was made by hand in Ferndale, Michigan by our next door neighbors at Long White Beard. 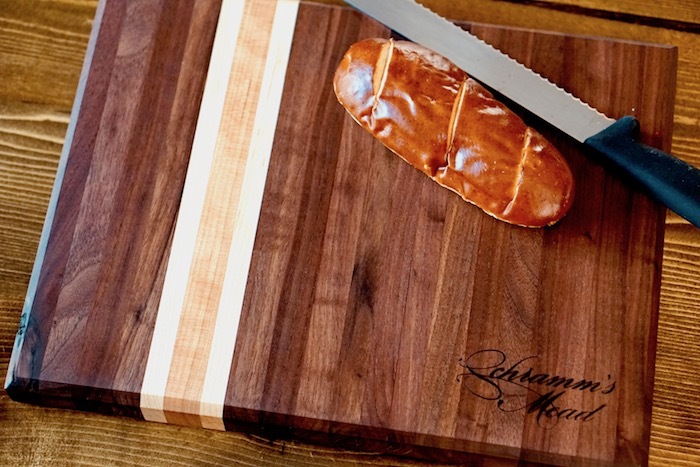 Each board features a unique wood grain and is put together with craft, care, and with an attention to detail which has made it a favorite with our local customers. 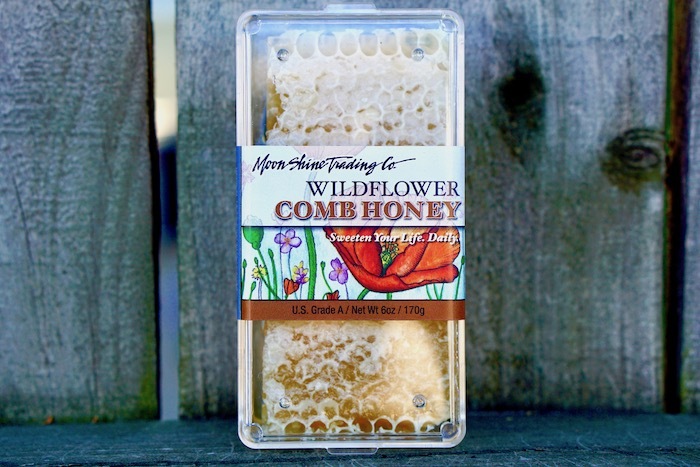 These are solid, quality pieces, made to last for many years. This handmade serving tray is an absolute stunner. 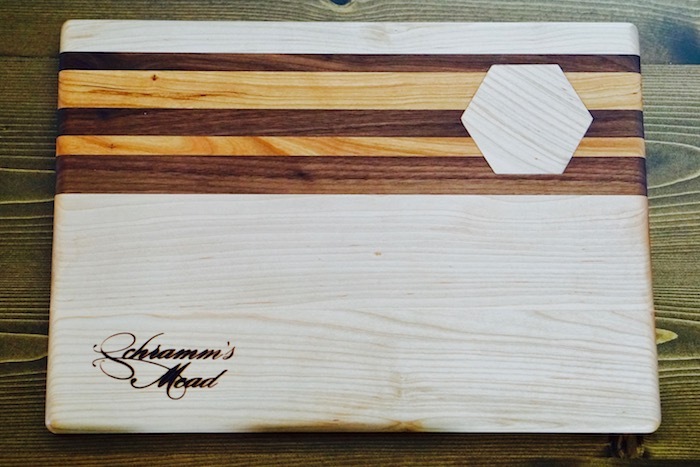 Made of locally-sourced Michigan Maple, featuring Cherry and Walnut inlay. Dimensions are approximately 15.5" long x 11" deep x .75" tall.